The maker movement is well-timed with the entrepreneurial upswing we’re seeing across the nation, particularly in Southern hubs with a history of craftsmanship. As the Internet makes it easier than ever to launch a tech startup, the rise of makerspaces can do the same for hardware and product-based businesses, empowering everyone from the artisan wanting to open an Etsy store to the engineer ready to create the next groundbreaking IoT device. But it’s not just about 3D printing your way into the hands of consumers — makerspaces are often free or super low-cost, so hobbyists, students, and teachers alike can find a source of creativity, continuous learning, and collaboration. That’s something we can definitely DIG. Ready to expand your mind and get your hands dirty? 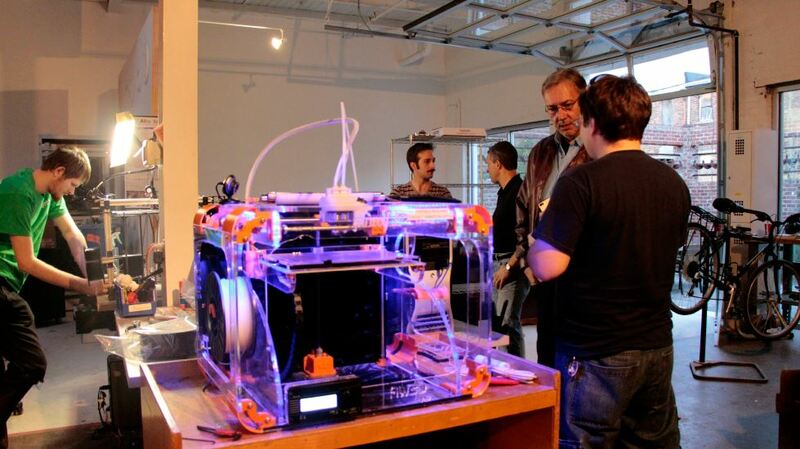 Check out these 12 makerspaces around the South. 1. The Forge is Greensboro’s first makerspace, featuring a Hard Space (metalworking and a woodshop), Soft Space (textiles and collaborative classrooms), and a Hacker Space (for the techies ready to code, laser cut, or 3D print). Their mission is to foster entrepreneurship and local workforce development while being a vibrant community center that encourages local creators to stay and thrive in Greensboro. 2. Freeside Atlanta is “a community of makers, tinkerers, engineers, programmers, artists, teachers, and lunatics” (they said it – not us)! The non-profit, volunteer-run space is divided into 22 “zones,” with dedicated areas and tools for 3D printing, woodworking, art and design, photography, and workshops. 3. Makers in Atlanta can also check out MASS Collective. MASS “is an acronym which implies the shared innovative spirit among those with Musical, Artistic, Scientific, and Social pursuits.” In addition to offering tools and equipment, MASS has a focus on education and research and development. 4. Miami-based Moonlighter is a collaborative space for design, tech, art, music, and fashion. Their Makerspace/FabLab is equipped with tools like laser and vinyl cutters, sewing machines, and a CNC mill. Moonlighter also has both a physical and online shop where visitors can purchase wares created by local makers and entrepreneurs. That’s all well and good, but the best thing we discovered? They’re hosting a “Build your own Gameboy” Maker Summer Camp at the end of August. 5. Makerspace Charlotte is a volunteer-run space for makers of all ages. They host a ton of creative and collaborative events, like a weekly “Make.Share.Learn” workshop and monthly First Friday MakerScouts for participants to tinker with whatever their hearts desire, be it rockets and whirly gig helicopters or nodebots and IoT devices. 6. 757 Makerspace is a community workshop and product accelerator in Norfolk, VA. Calling itself a “gym for innovators,” the space offers workshops and training to help Virginia’s makers bring their ideas to life. 7. Make Nashville is Nashville’s first all-ages non-profit makerspace. They describe themselves as a “collective of creative, geeky, artistic, innovative, fun and welcoming people who love to make things and have a great time doing it.” Judging by the events they’ve hosted (drone racing, bot battles, electronic costume workshops, and creating custom chocolates using 3D printed objects), that description seems pretty spot-on. 8. Dallas Makerspace is a non-profit, shared community workshop and laboratory. They have a strong focus on collaboration; members and volunteers teach classes, host events, and help each other with projects, and most of their classes (fiber arts, woodcarving, Android development, robot building…) are free and open to the public. 9. Idiya is a New Orleans-based makerspace, workshop, and design studio that provides tools and classes for hobbyists, artists, and entrepreneurs alike. The space houses a realm of professional-level manufacturing and prototyping equipment (think: drill presses, soldering, a full-body 3D scanner, a screen printer, and a woodshop). They also host weekly summer camps like “Bling Out Your Bike” and “Build a Musical Instrument.” Where can adults sign up? 10. Reforge Charleston is an educational, nonprofit makerspace in – you guessed it – Charleston, SC. The facility offers “tools, equipment, and classes for everyone,” and based on their calendar, they’re not lying. Upcoming classes include intro to sewing, all-grain beer homebrewing, and a monthly machinist meet-up. 12. FabLab DC is growing “a high-tech, fabrication laboratory/ community workshop in the heart of DC.” FabLab originated at MIT’s Center for Bits and Atoms and has grown around the world, but the DC one has a particular focus on engaging US policymakers and educators in a hands-on, grassroots approach to technology, education, and innovation (they’re in walking distance to the US Capitol Building, after all). If you’re feeling inspired to tinker, code, or craft, you can find makerspaces all over the world on the Maker Map. Know of a specific space located in the South? We’d love to add it to our list! Share in the comments here or let us know on Twitter.